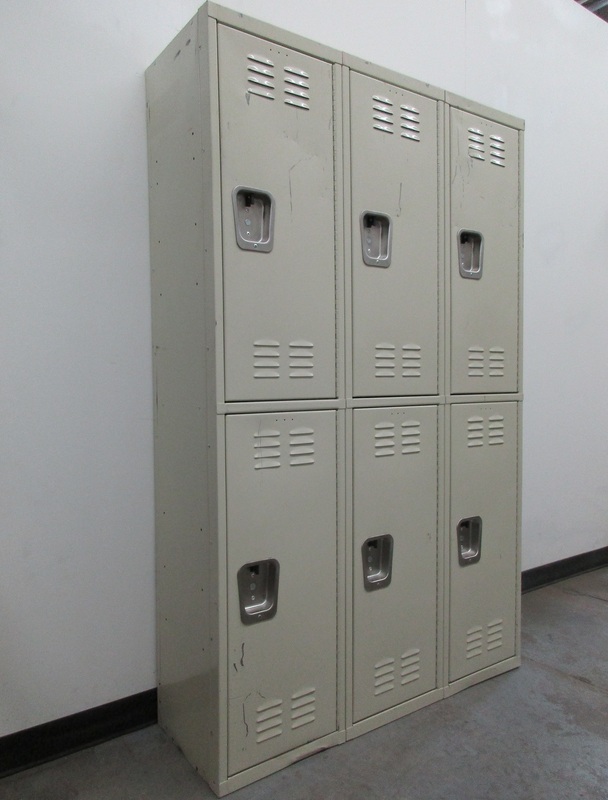 These Vintage Steel Lockers are available on www.buyusedlockers.com where they have a huge selection to choose from if we need additional supplies. These vintage lockers were very popular at one time. Each person had two locker compartments to use. One larger compartment for clothing, backpacks, coats, etc. and one smaller compartment for shoes, books, etc. Having two compartments helped keep belongings organized. While they are not as popular today as they used to be, they are still a neat concept and a cool locker. Many people are putting these in their mud rooms and entry halls for that unique vintage look and feel. They still operate fine, so not only do they look cool, but they are still functional as well. Black frames / golden yellow doors.